During National Simplify Your Life Week, you might think to yourself, I already have the latest, greatest, does-it-all device! It keeps me connected to all the people, music, games and other media I love in the palm of my hand, and my straightforward Straight Talk plan is as simple as it gets. But one thing we could all use help with is keeping our device chargers, earbuds, and other digital paraphernalia under wraps. Cords get lost, knotted and generally worn out as we fumble to keep our batteries full while living life (and using our phones) to the fullest. 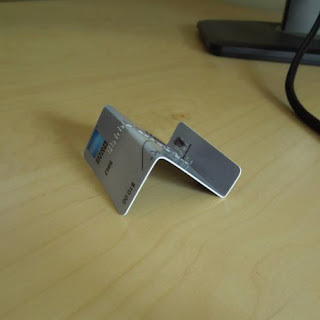 We decided to bring you simple, practical solutions to this everyday problem, using just a little ingenuity, a few office and household supplies, and the wisdom of the world wide web. 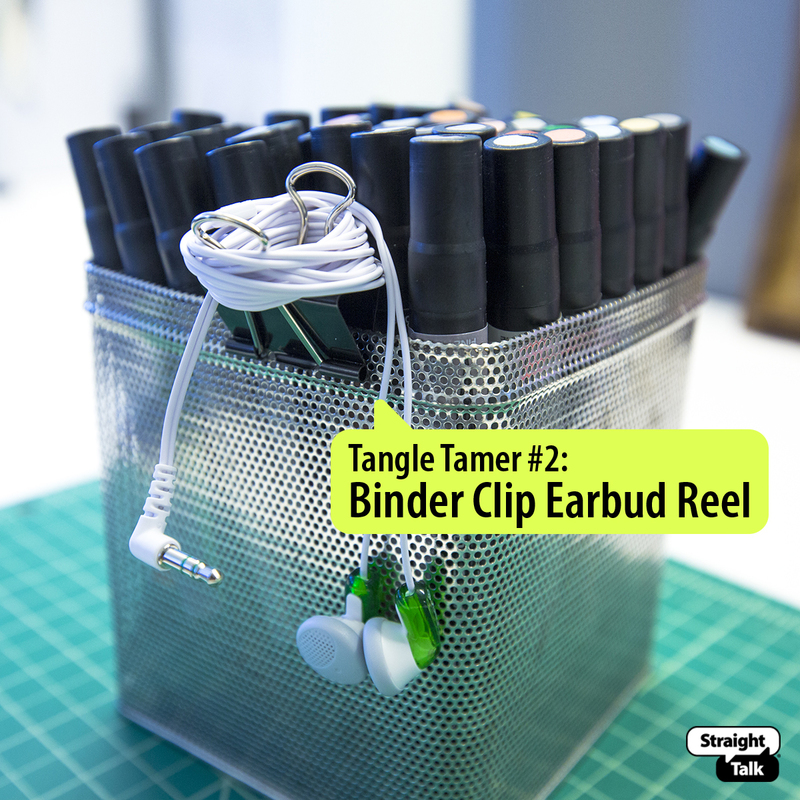 We hope you find our Tangle Tamers useful! You may need the juice, but you don’t need to put your phone on the floor. Get directions via How About Orange. You may be able to go paperless, but it’s a mess to go clipless. 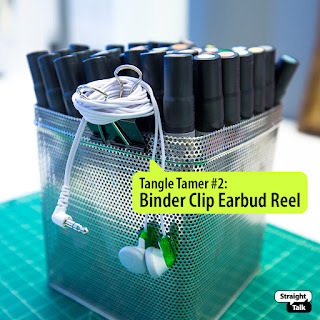 Get more binder clip organization inspiration via Live Simply by Anniehere. Never let your phone just sit there. Prop it up properly. Get directions via Life Currents. 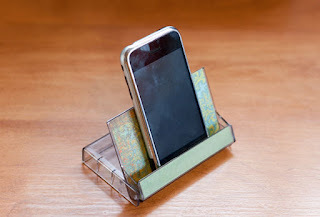 Fold up a used gift card for another easy stand. Get Directions via Decorating Your Small Space. 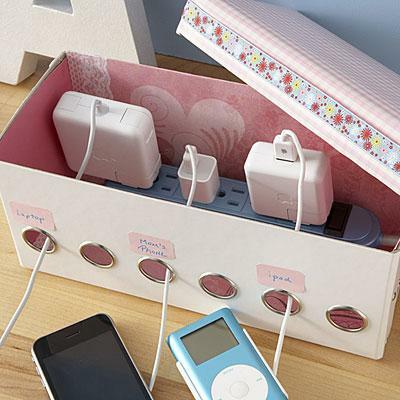 If you’re over your ribbon-organizing phase, use the box to create a super organized charging station. Get directions via All You. 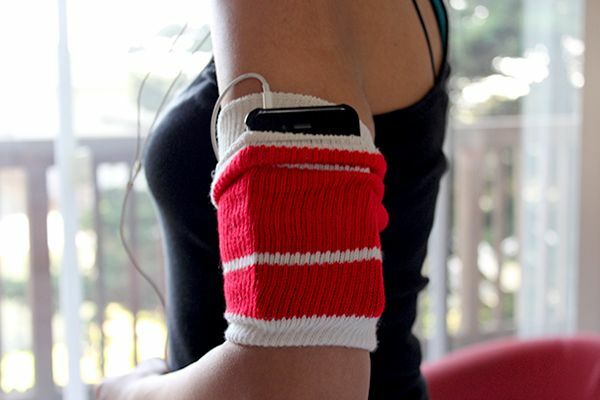 Don’t get tripped up by your earbuds while you’re working out. Get directions via CNET. 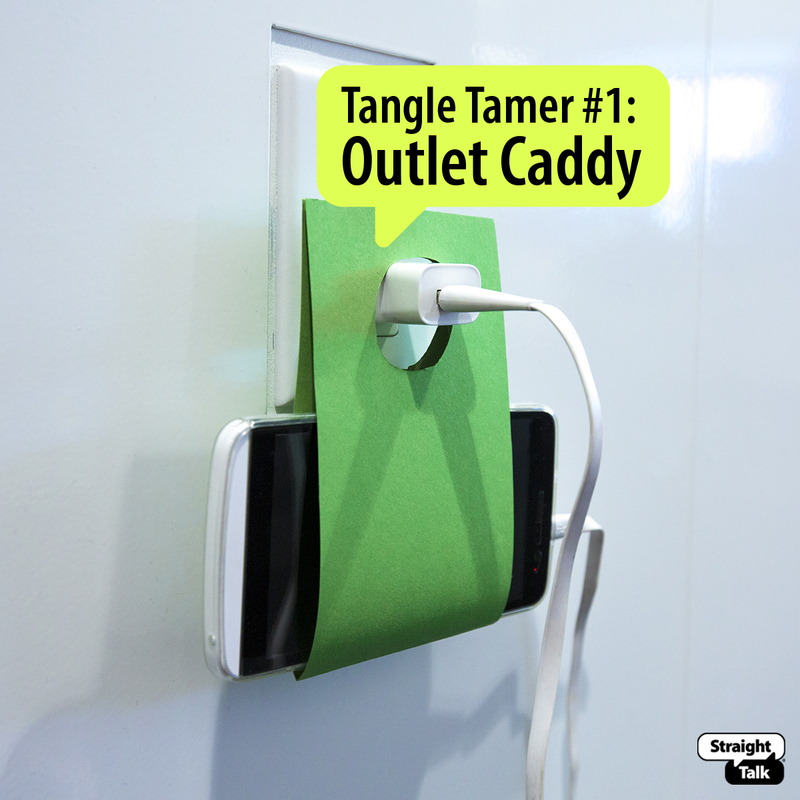 What Tangle Tamer do you use to simplify your life? Share in the comments or on our social channels!